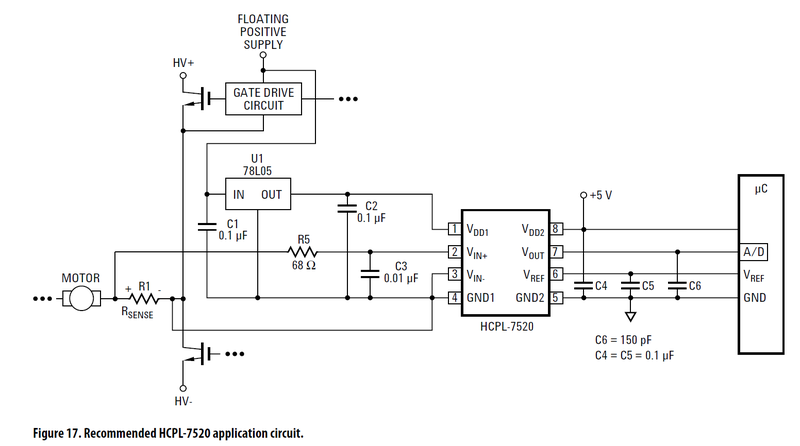 I want to isolate a sensor reading (basically, 0-5VDC reading) with the HCPL-7520, and I will be reading the value with my microcontroller (in this case, using the arduino board, but could be any other). I tried it about 10 minutes ago, and I wasn't getting anything on the output of the circuit. I fixed that, but, after reading through the datasheet, turns out it's best for the input to be between the -200mV and +200mV range (for best linearity on output). So I added a voltage divider to bring my 0-5V input to 0-185mV. It is working now, only problem is that my output now varies between 2.48V and 4.32V, instead of 0-5V.